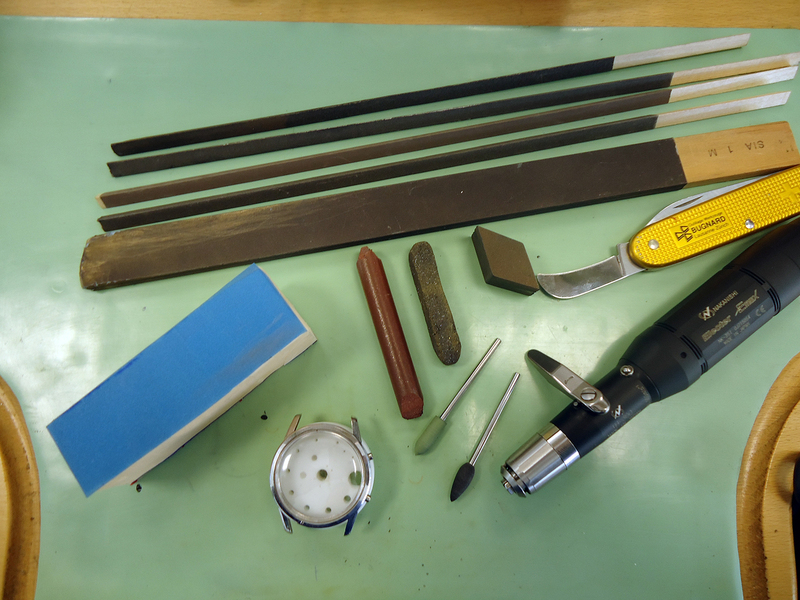 A detailed, step by step account of the sympathetic restoration of an heirloom. 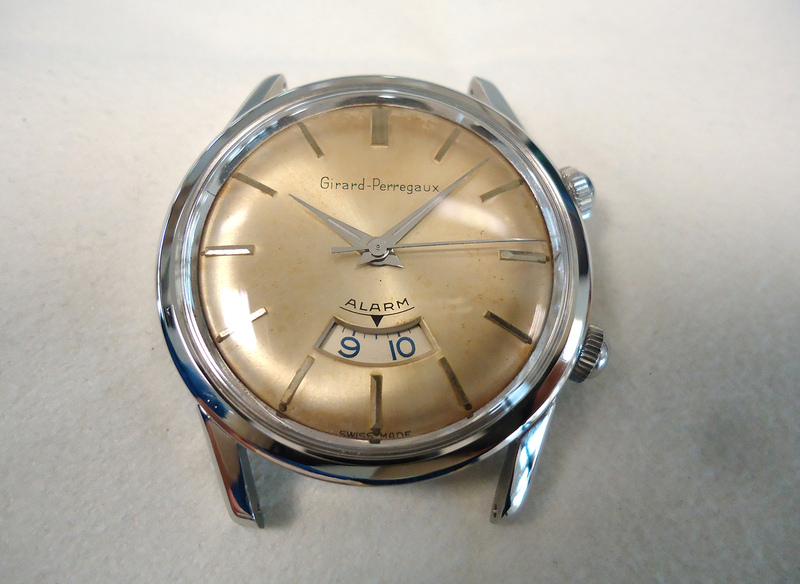 Some time ago I received a vintage Girard-Perregaux (GP) alarm wristwatch for restoration. 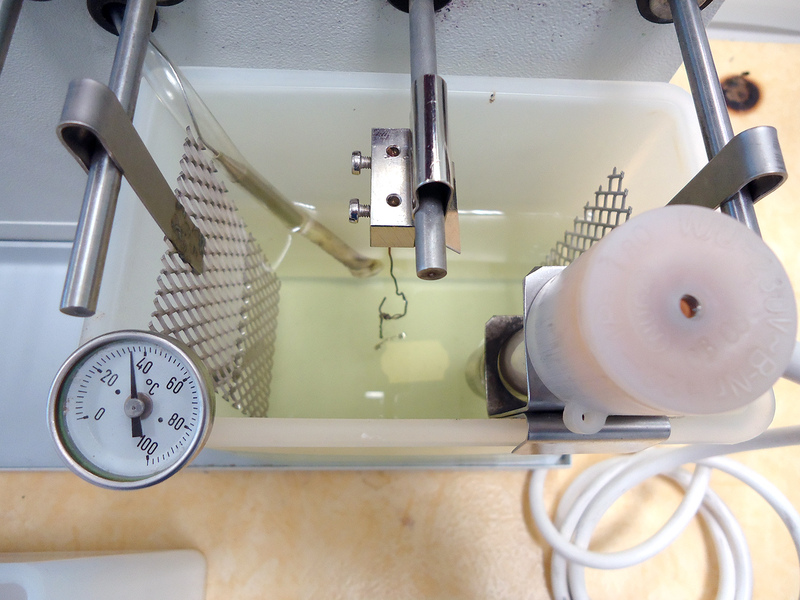 The client requested that the watch was to be taken care of gently. 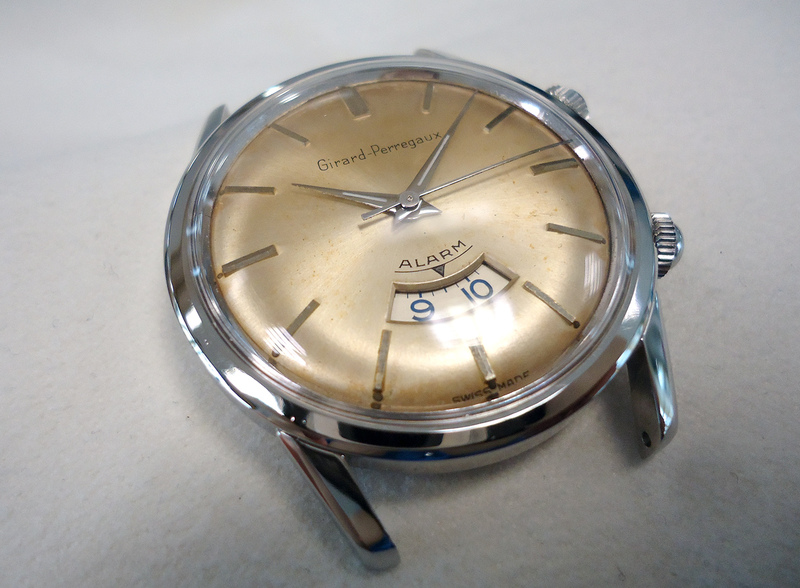 Some clients understandably require this because vintage watches often hold significant sentimental value. The GP alarm watch had been passed down from father to daughter. 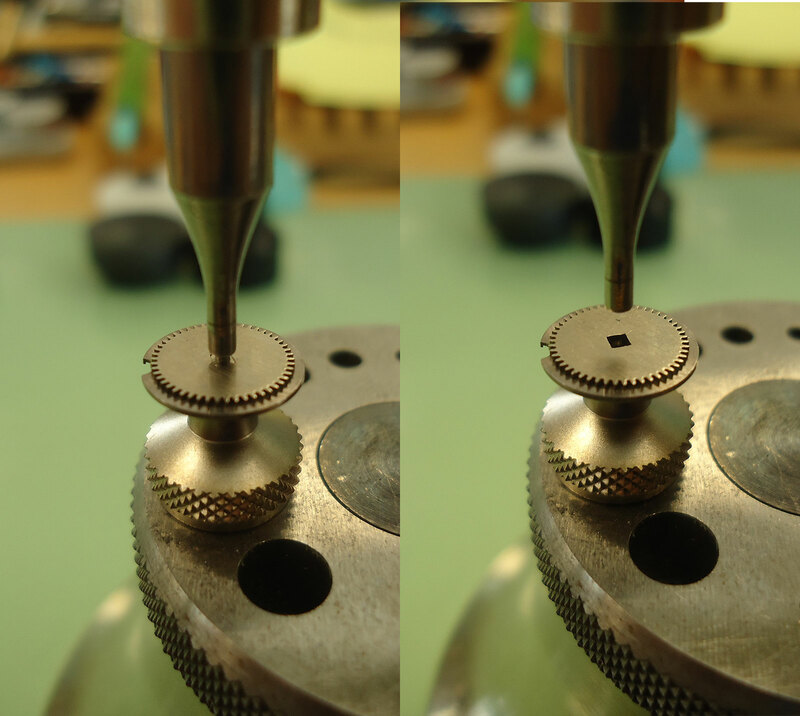 The overhaul was commissioned by a former client from Switzerland who is a friend of the lady who had inherited the watch. He wanted to gift the lady a restoration, to allow her to enjoy her father’s watch just as he was enjoying his own overhauled vintage watches. 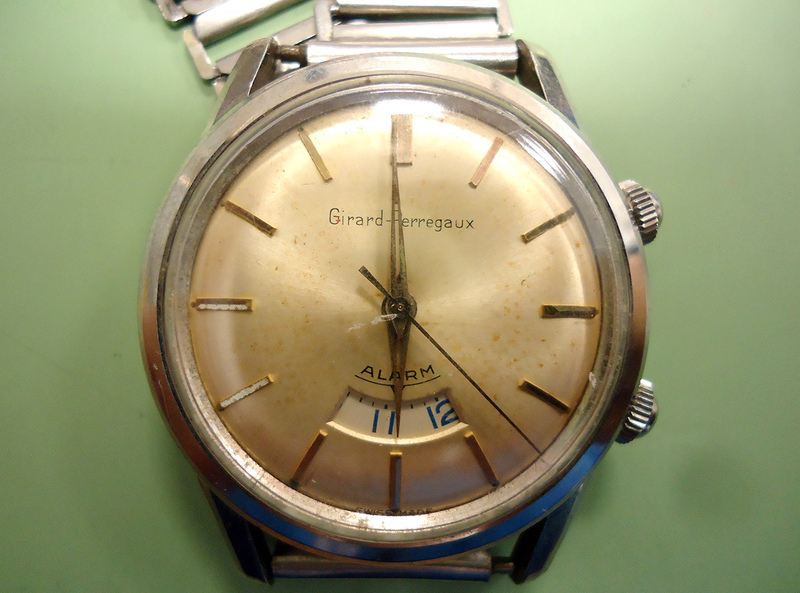 In some cases, it is easier to restore a watch to pristine condition than doing a sympathetic restoration that preserves as much of the original character as possible. 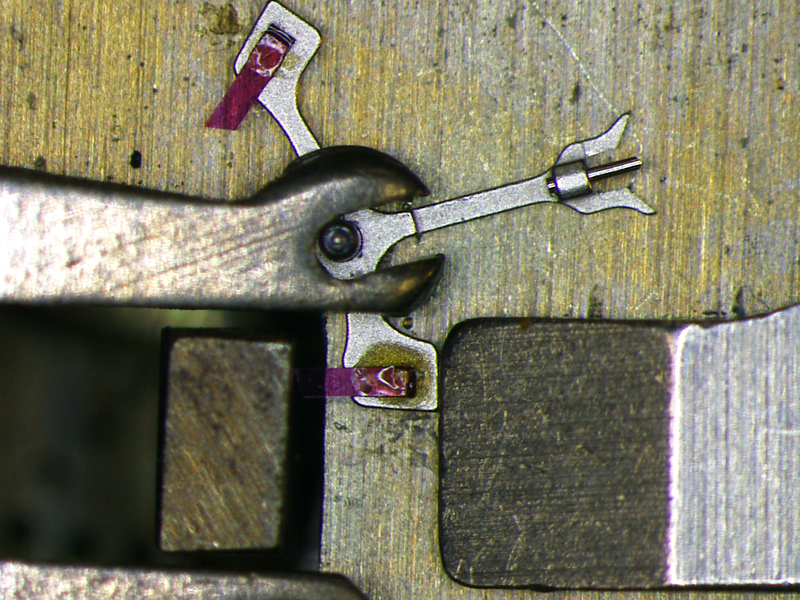 One can restore the dial and case to perfect condition, but that will require removing massive amounts of material on the case and alter the fundamentals of the watch, perhaps too much. 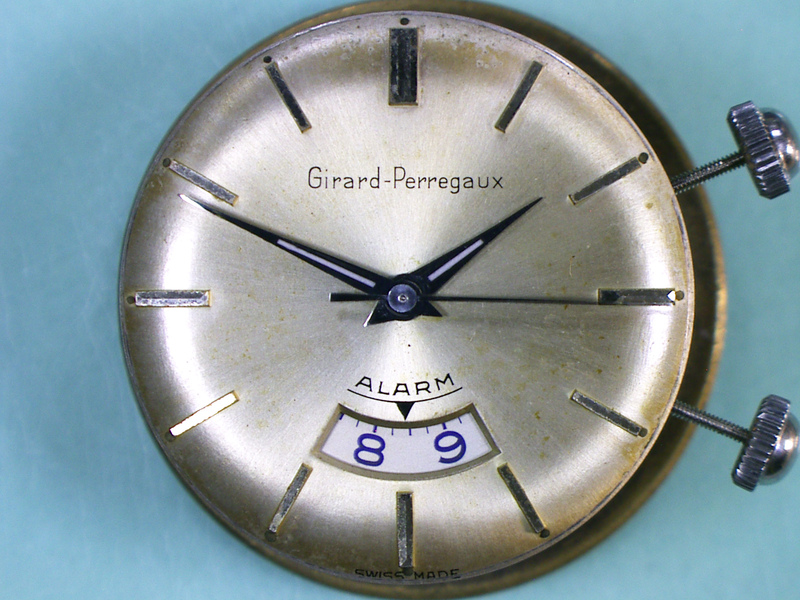 The GP alarm watch was powered by a cal. 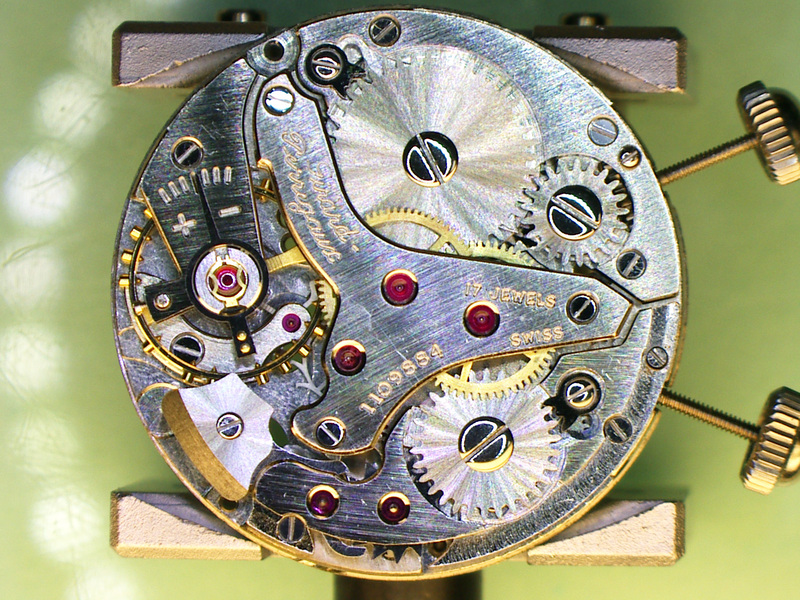 1475 made by A. Schild, which was one of the common alarm movements of the 1960s, making it relatively straightforward mechanically. 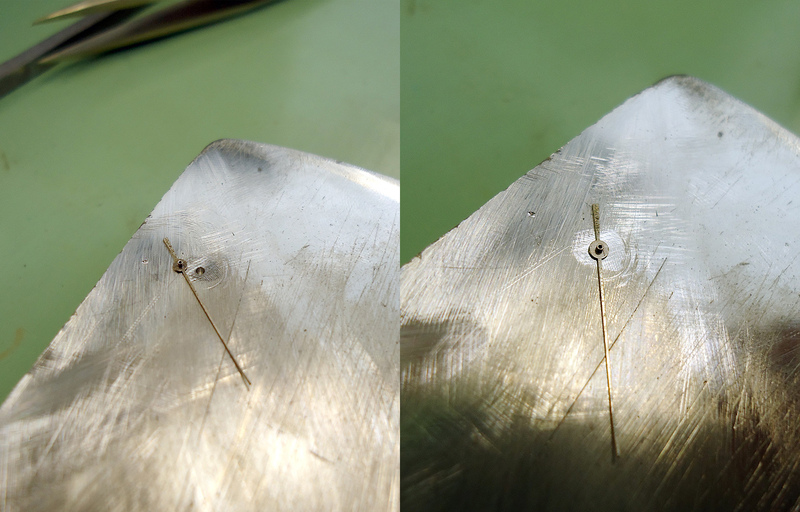 Strangely, the case back of the watch was inexplicably badly damaged, showing gouges and dents. 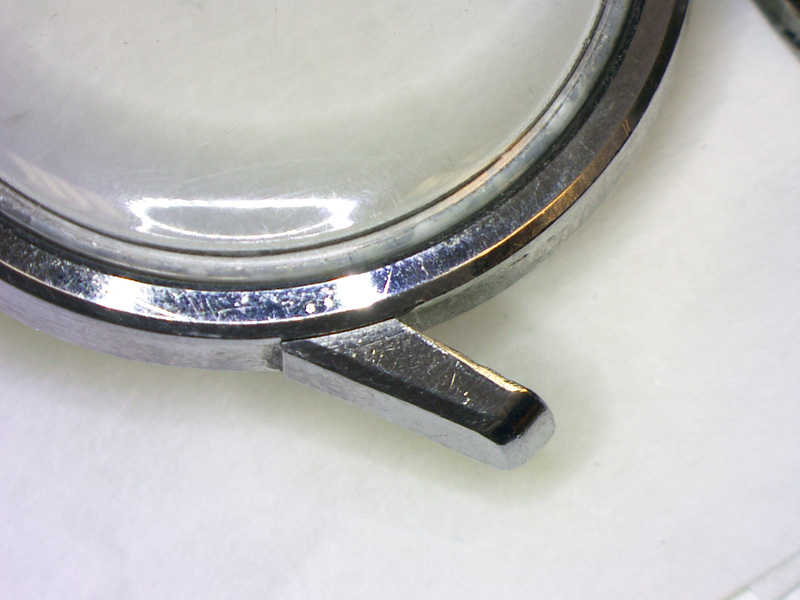 There is no real reason for that as the caseback is protected by the wrist during wear. The case and crystal had marks, dings and scratches, some quite severe, which can be expected from natural wear and tear. The watch must have had quite a hard life looking at it from the outside. 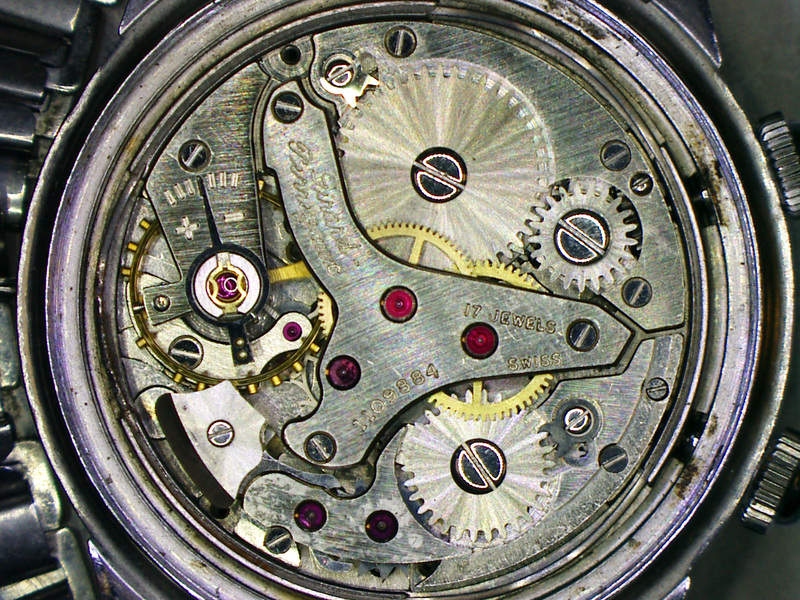 But surprisingly, it was still keeping time after so many years, although not as well as a modern precision timekeeper. While the movement was running, the alarm was not working correctly. 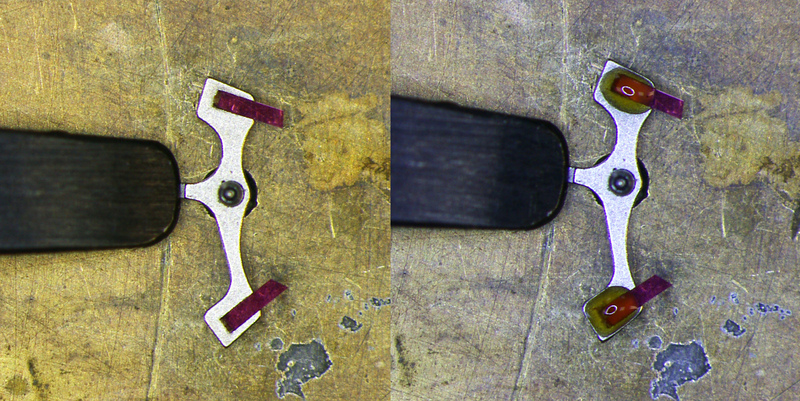 The amplitude and timing was out of tolerance, and balance staff pivots were worn, with the pallet fork in need of fresh shellac and pallet jewels adjustment. 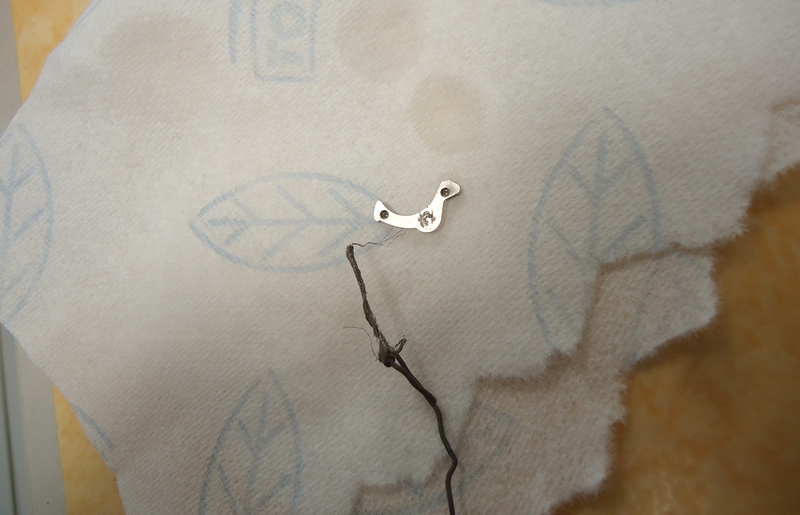 Additionally, the hairspring was not longer flat and the center wheel bridge showed damage. 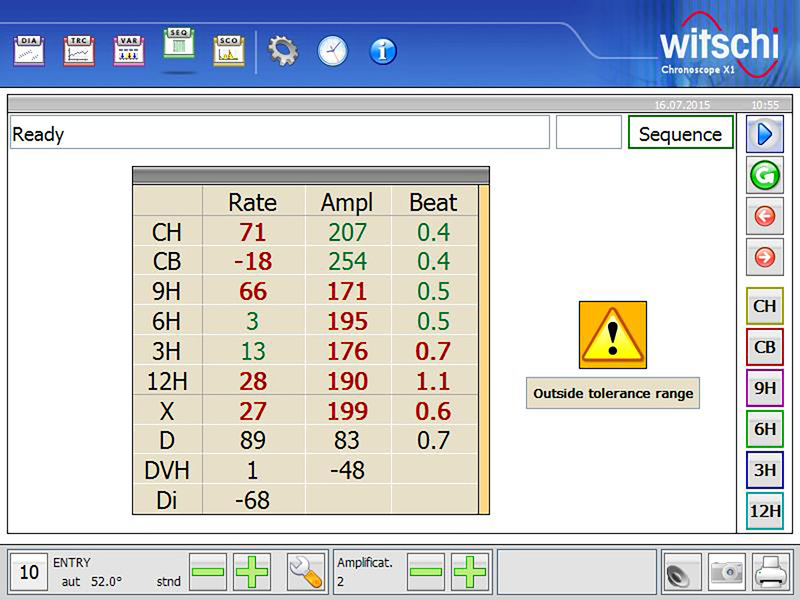 The first timing test revealed an irregular rate and amplitude, indicating a possible problem between raw dial up and dial down positions, implying an issue with the balance. 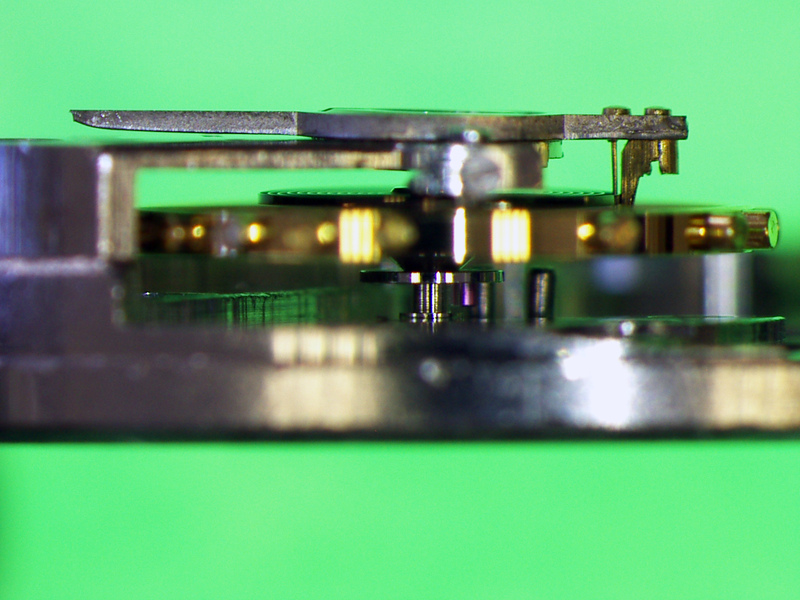 The balance also had a low amplitude, which indicated that the watch was running dry and was in need of an overhaul. 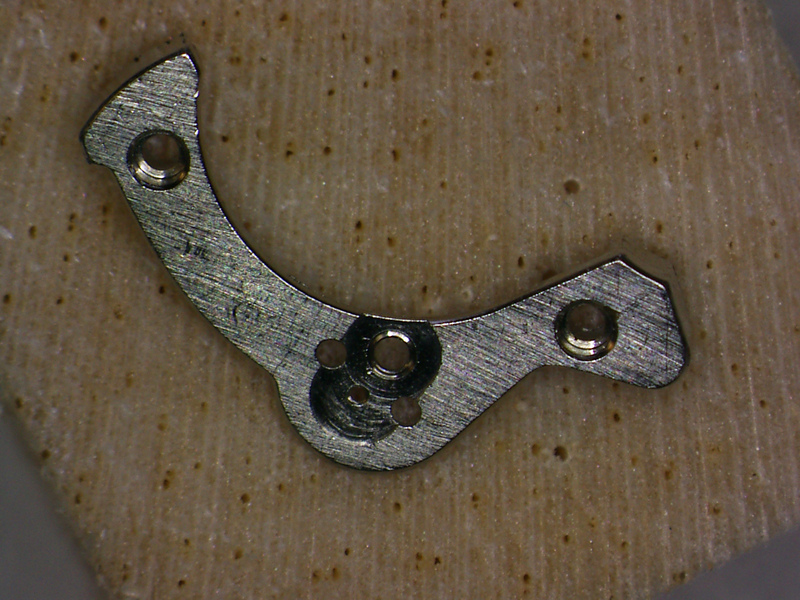 Letting a watch run in this condition will certainly damage the gear train and other moving parts as the lubricants have dried up, with wear to the pivots of wheels producing an abrasive paste in the jewel holes, which slowly but surely destroy the moving parts of the watch. 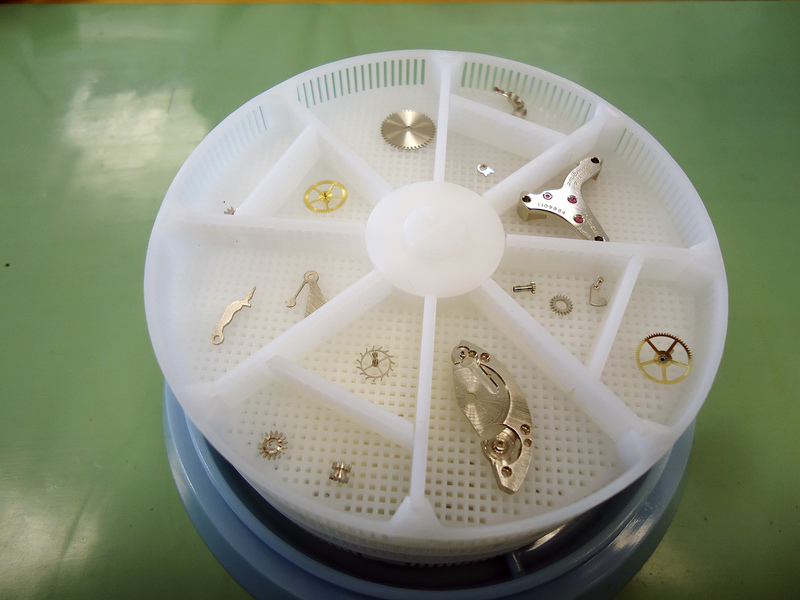 After discussing with the client, it was decided that the case, crystal, hands and movement needed attention. 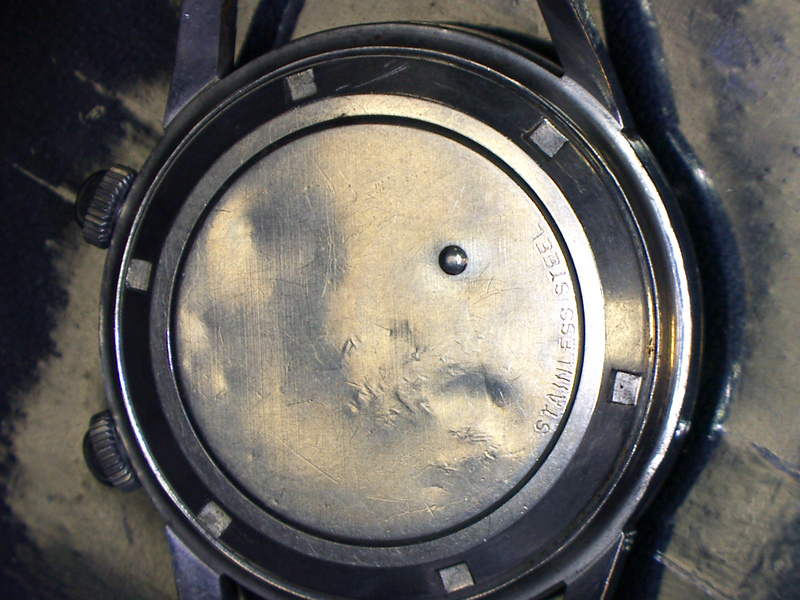 The caseback was too far gone so not much could be done, while the dial had some nice patina that would be left as is. 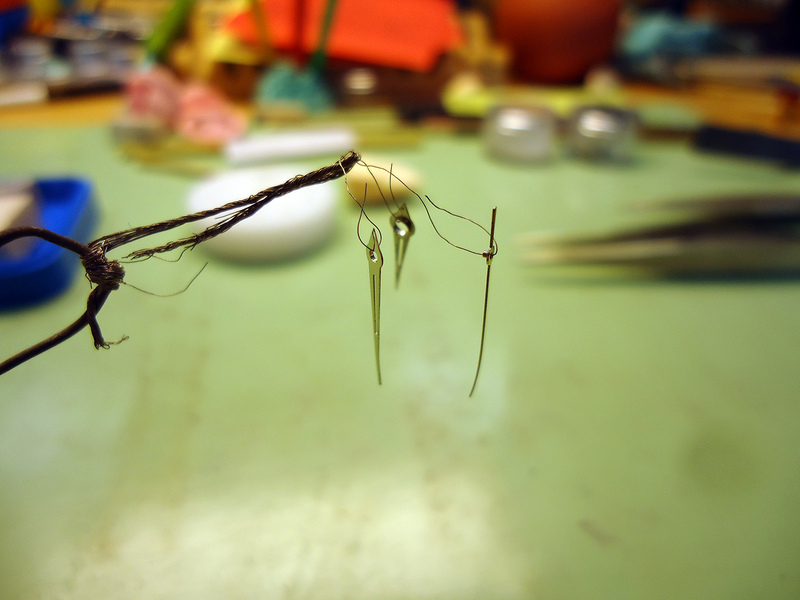 Below I detail the most crucial steps in the restoration. 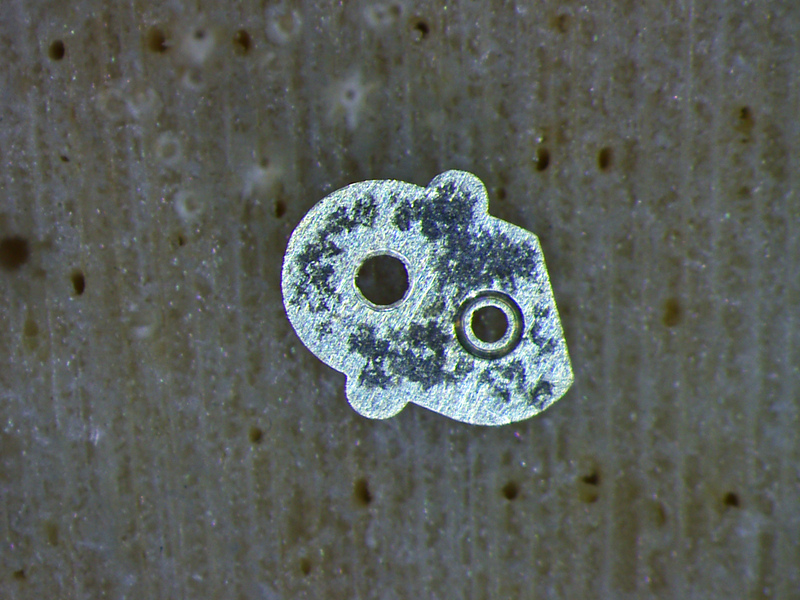 The barrels and gear train were in good condition but crusted with old gummed-up oil, with one of the barrel arbors stuck solid on one of the ratchets so it had to be gently punched out in the stacking set. 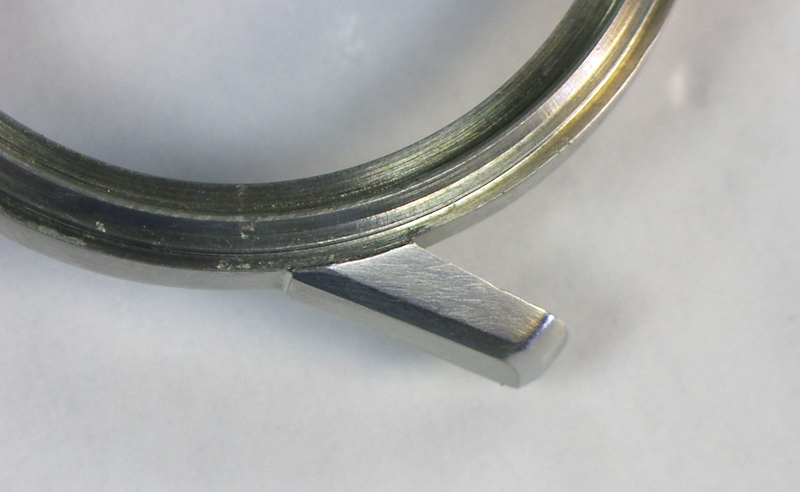 The bridge for the centre wheel was scratched and tarnished. 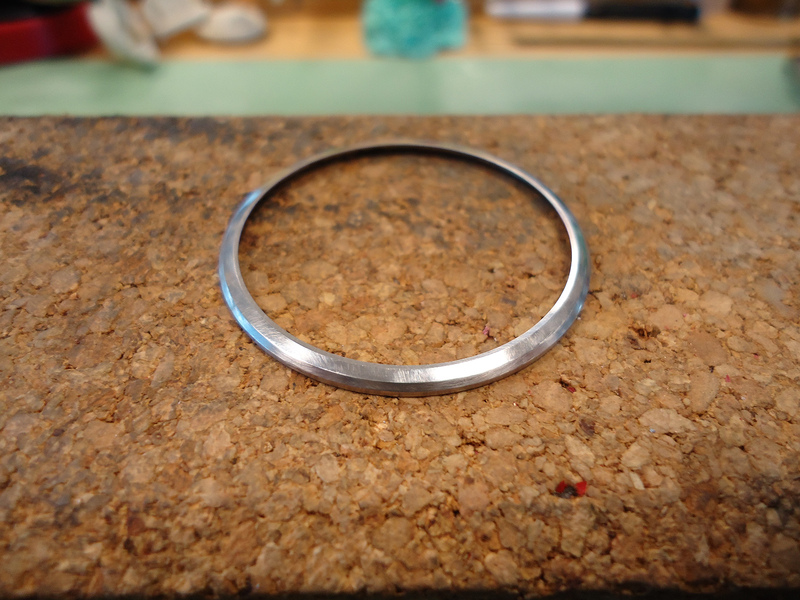 Several steps would be needed to fix these issues, starting with applying a new straight grained finish with a shellac stone. The bridge has to be as flat as possible before commencing the graining, otherwise too much material will be removed. 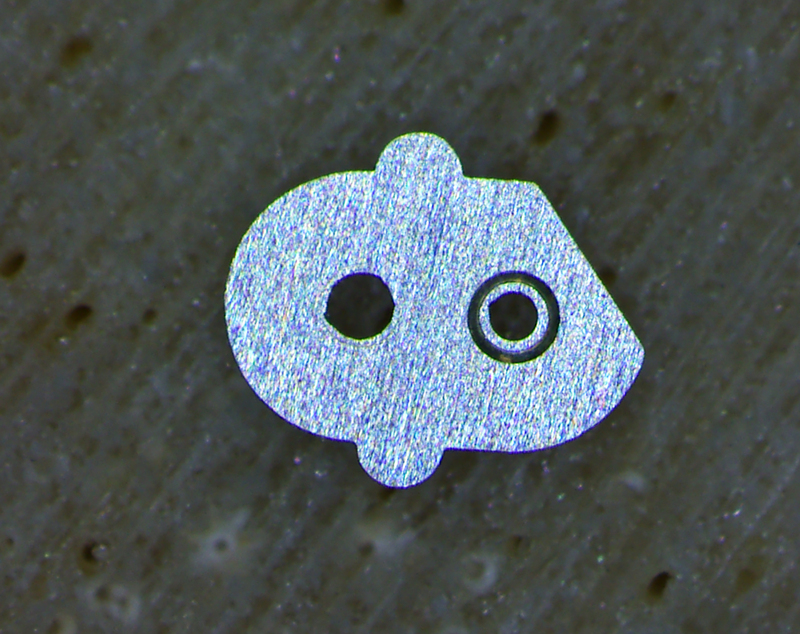 Also, it would have been possible to straight grain the bridge on abrasive paper, which is as good, but since I have a shellac stone I love to use it whenever I get the chance. 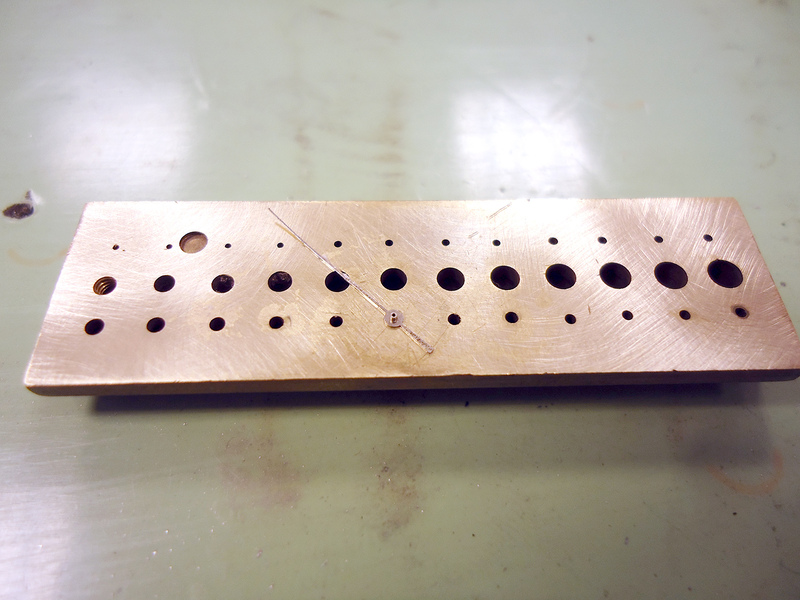 After the finishing is done, the bridge has to be electroplated, which means the part has to be dipped in a chemical bath. And these are the before and after results. 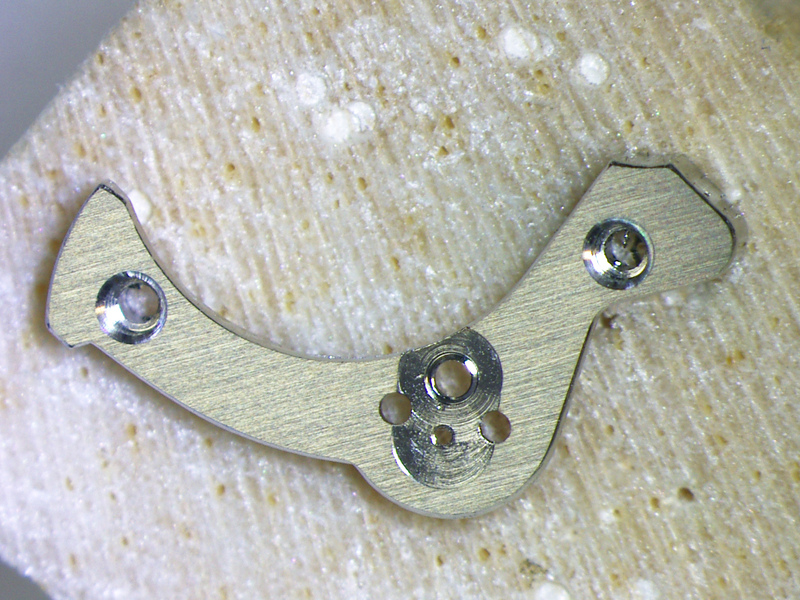 These parts require fairly delicate work, being the “heart” of the watch. 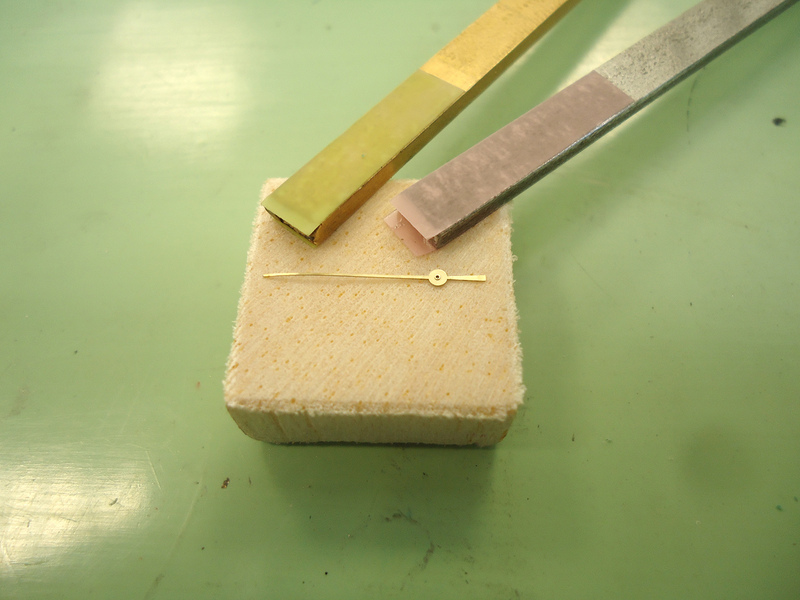 Here we start with the escapement, where primary job is adjusting the jewels on the pallet fork. 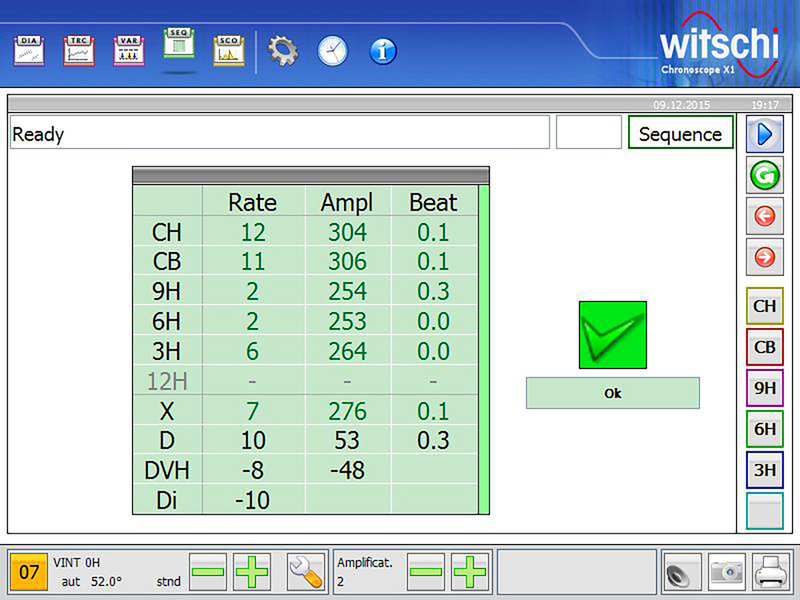 First we check the position of the pallets with a handy Bergeon tool. After that we have to get rid of some of the old shellac on the pallet fork. 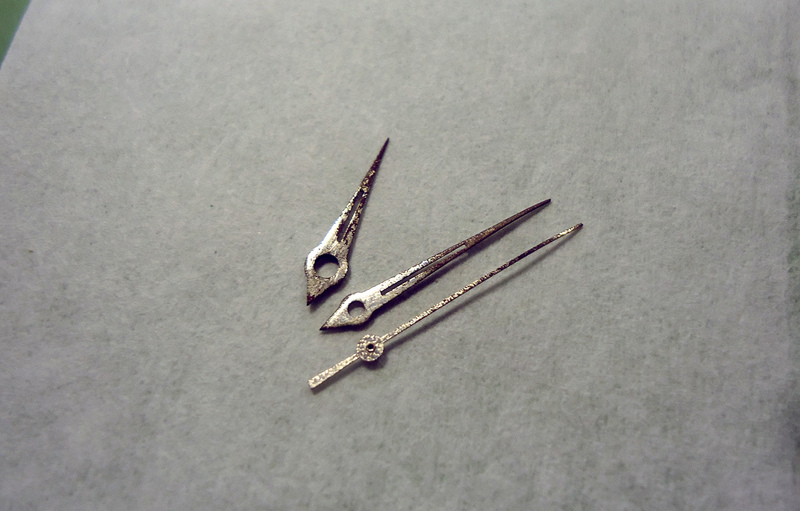 The next step is dealing with the hairspring, which has acquired an incline over the years. This means the balance doesn’t oscillate on a flat plane. 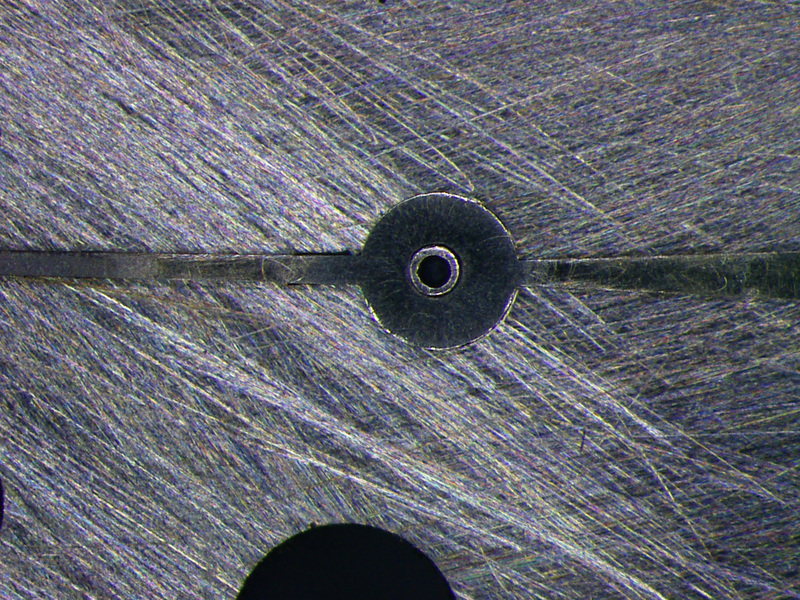 This requires some careful tweaking by hand to get it back into shape. 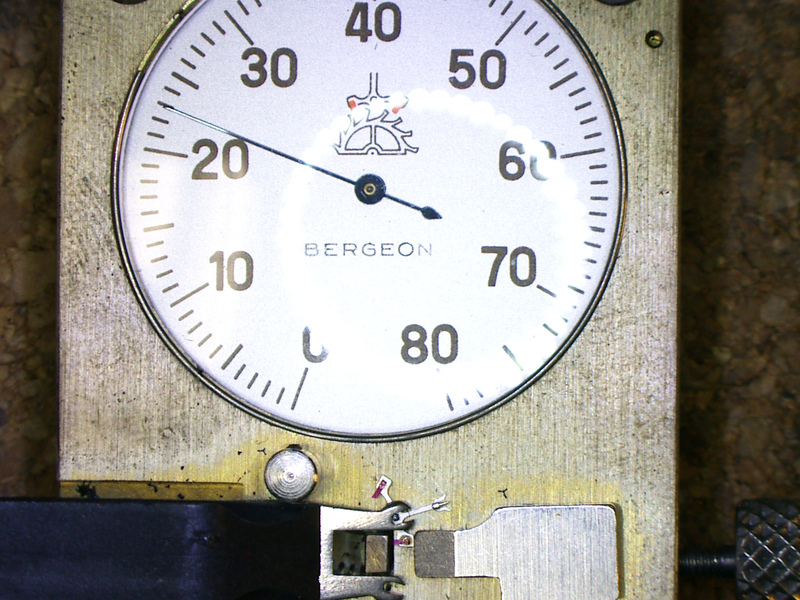 Once the base movement was back in running order, the next thing was to fix the alarm function. 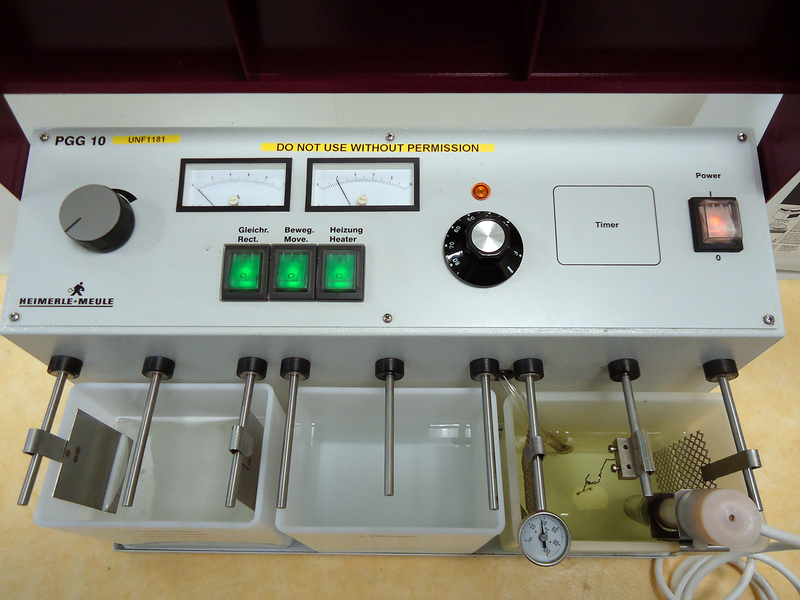 Like all alarms of the era, this created a buzzing noise thanks to a rapidly vibrating hammer. 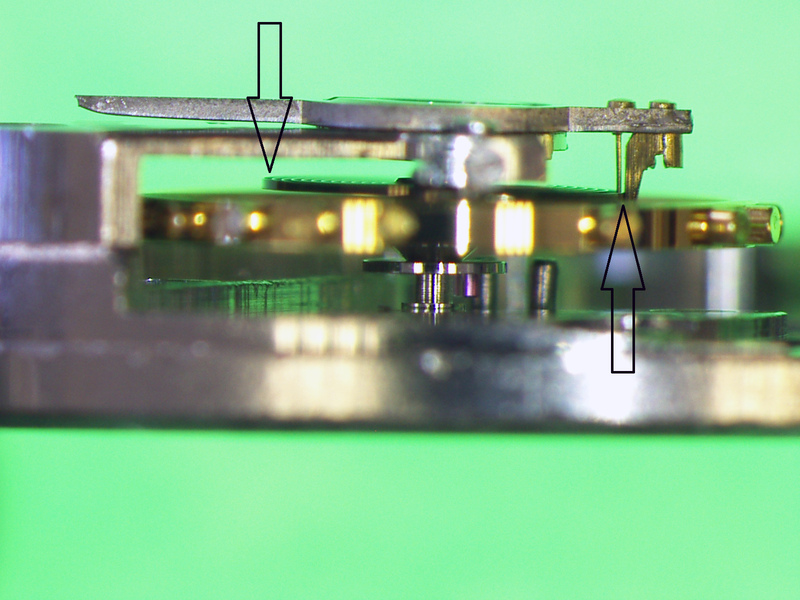 Now that the base movement and alarm were running well again, the next thing to work on were the external parts, starting beginning with hands. 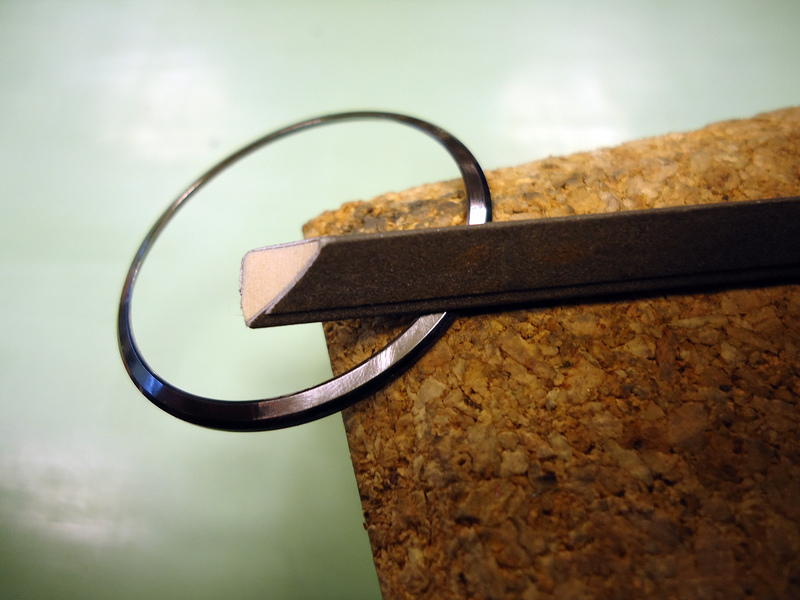 Then I begin polishing the hour and minute hands with different abrasive papers. 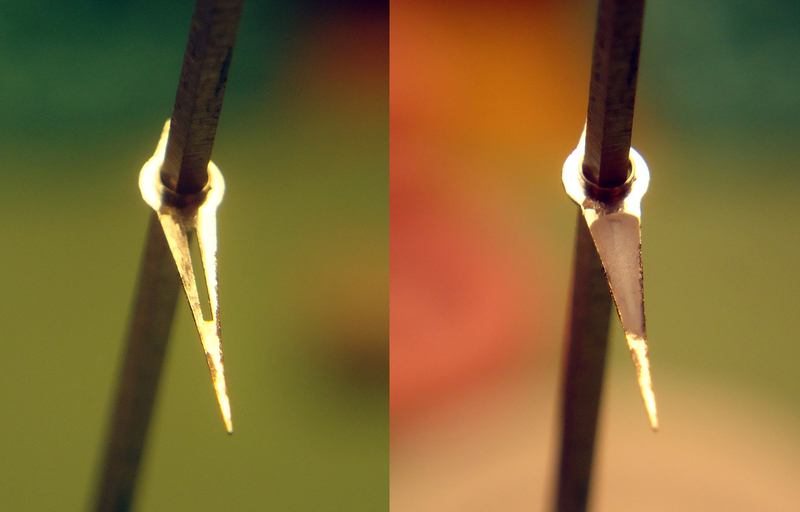 The hour and minute hands were polished with different types of wood and different grains of diamond paste supported on balsa. 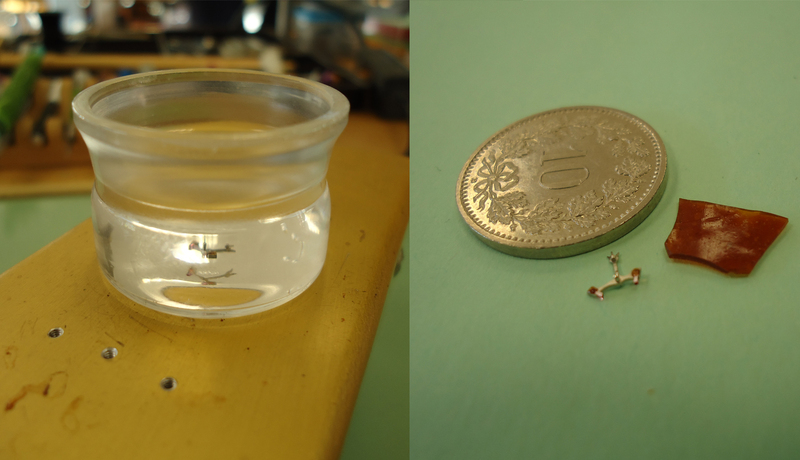 The next step in cosmetic restoration was the watch case. 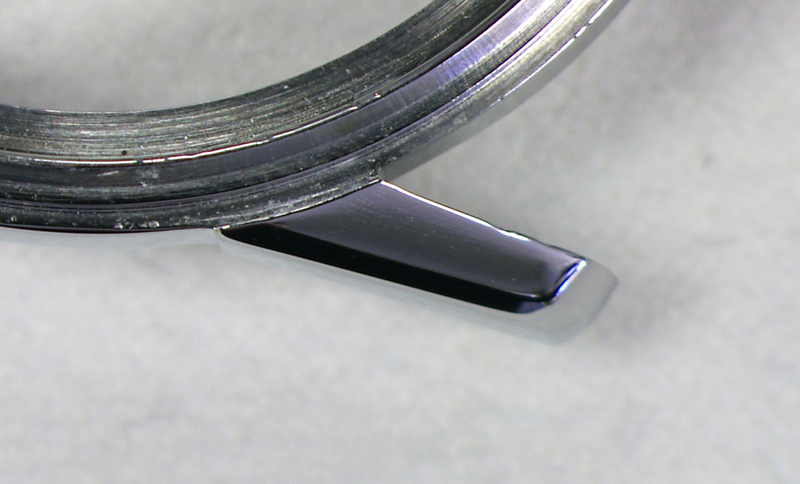 Care has to be taken when refinishing the case in order to maintain the original form, especially on the lugs, which have a subtle bevel along their length. 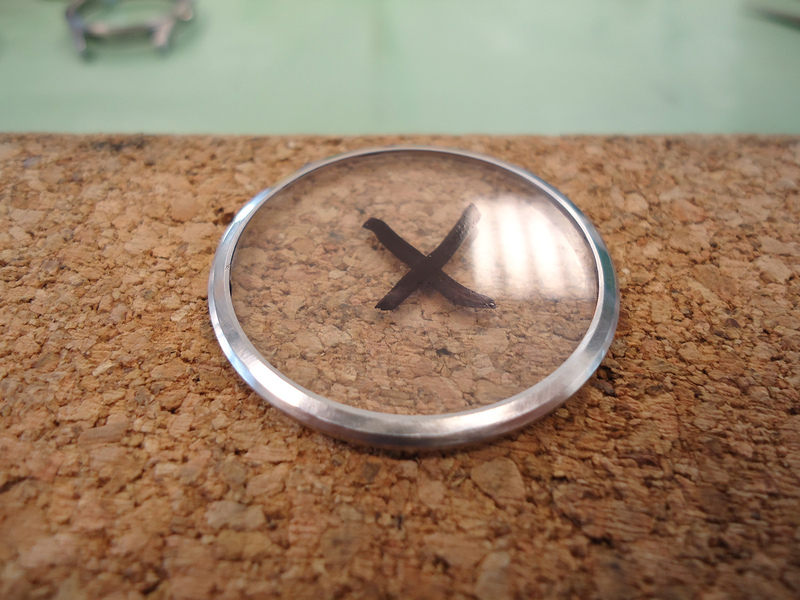 Very often with vintage watches the refinishing is overly aggressive, which means the details of the case are lost. 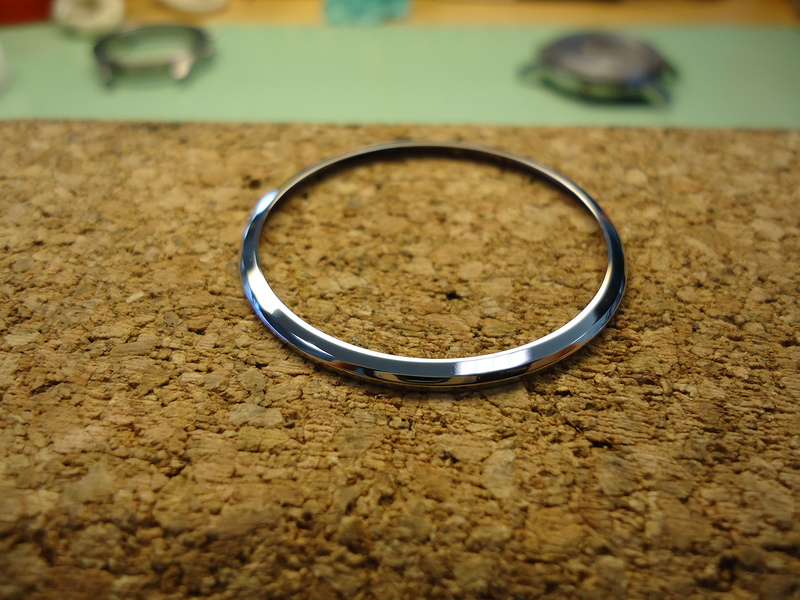 In the same way, the case band and lugs were pre-polished and polished. 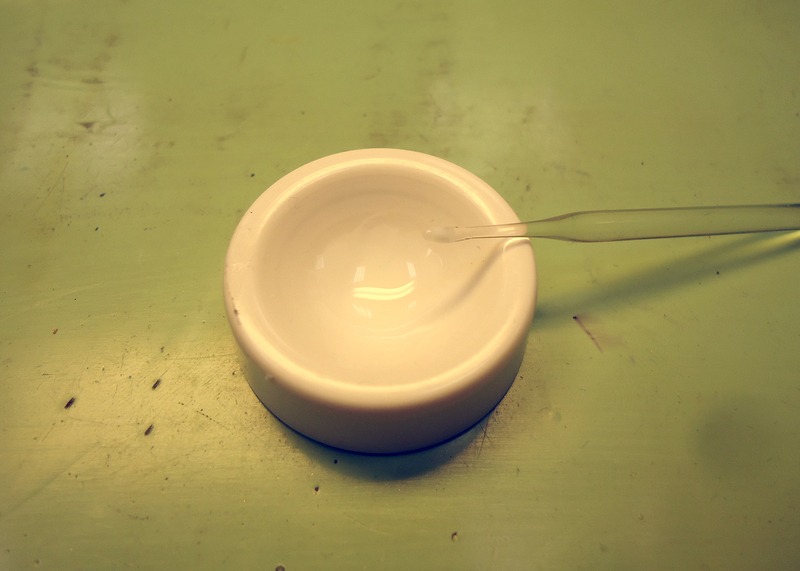 After restoring the definition of the lugs and pre-polishing. 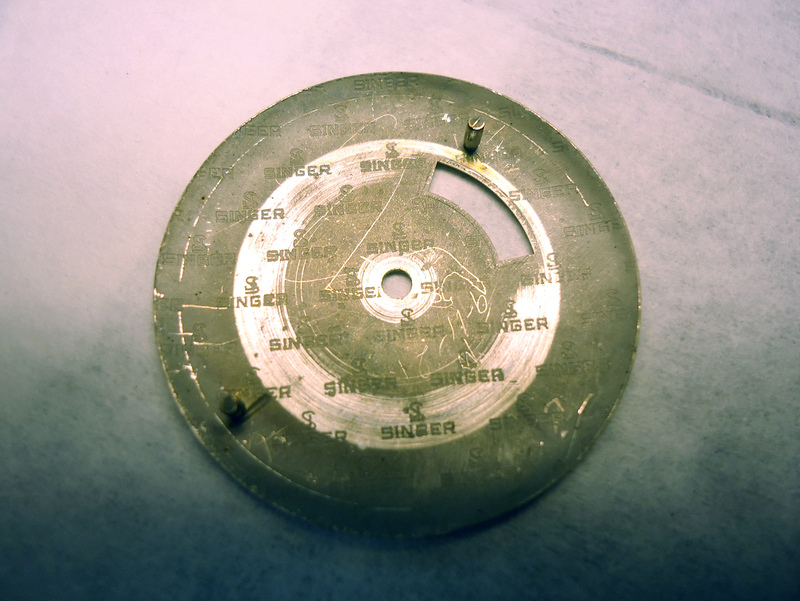 The watch was then cased-up and a final timing was performed. 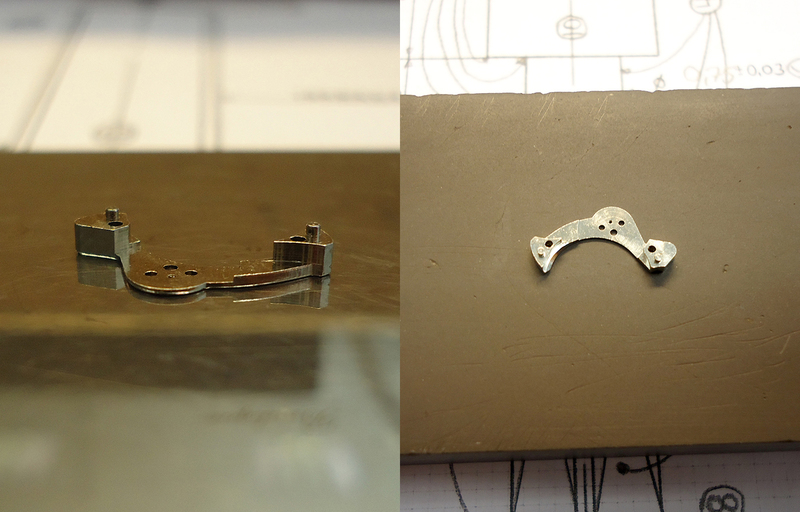 With both the mechanical and cosmetic work complete, the watch was good to go. While it is still recognisable as the vintage watch that is an heirloom – the dial retains its unusual patina – it now looks clean, crisp and also runs perfectly. Henrik Korpela is the principal of K&H Watchmaking Competence Centre (KHWCC) in Le Locle, Switzerland. 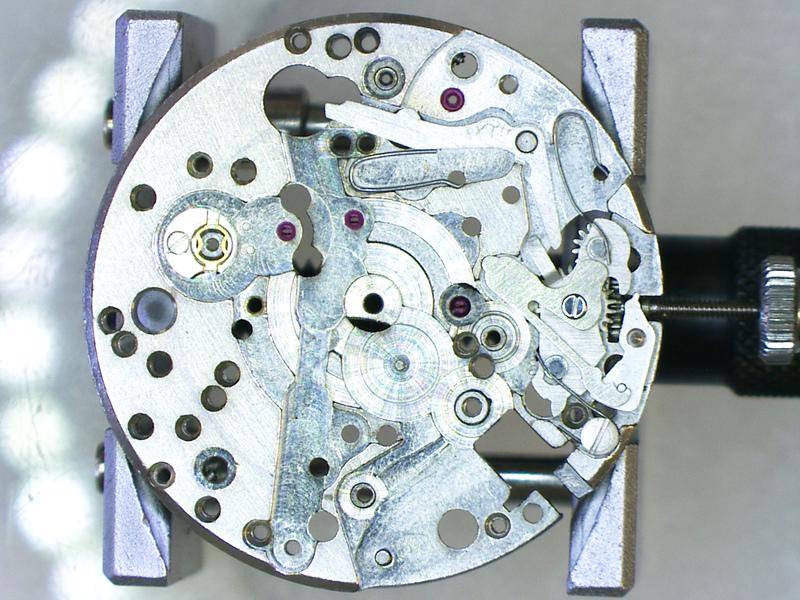 KHWCC is a fully equipped independent academy that offers a two-year, comprehensive programme in the classical techniques of watchmaking. Additional information on the school and its programme can be found on the KHWCC website. While running KHWCC and teaching is his primary vocation, however, Henrik occasionally offers restoration services like that detailed here.